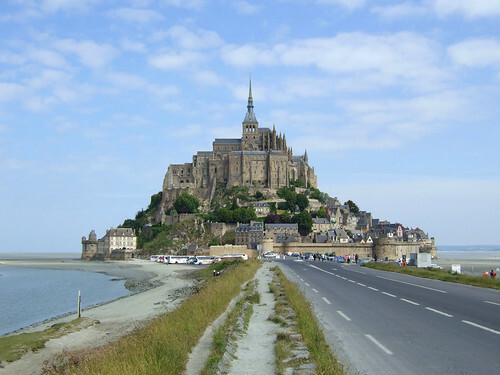 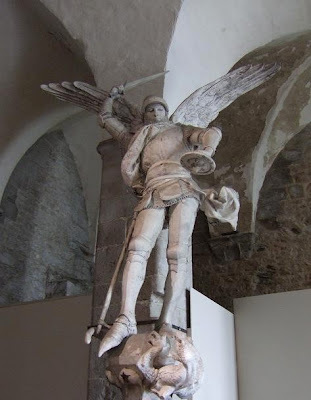 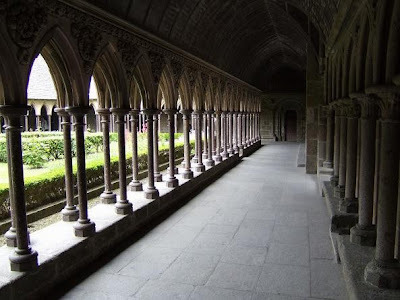 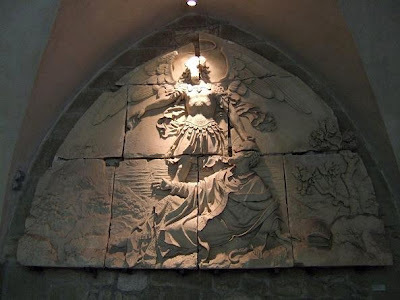 In the beginning of the 8th century, according to legend, Archangel Saint Michael instructed the bishop of Avranches to build an abbey on Mont Saint-Michel. 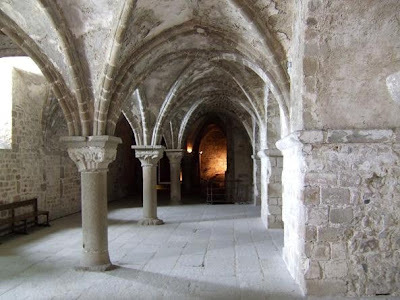 The Benedictine monks settled on the rock in 966 and over the next centuries the abbey was extended. 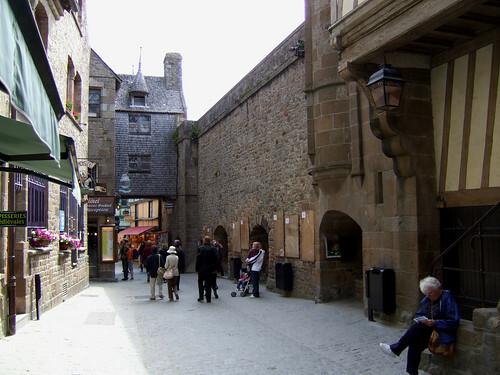 During the French Revolution Mont Saint-Michel was used as a prison but was closed by Napoleon and returned to the pilgrims before the end of the 19th century. 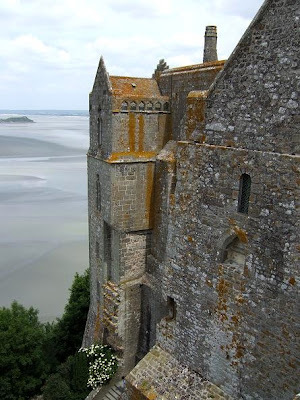 Mont Saint-Michel is an island in the Lower Normandy region and is one of the most visited tourist destinations in France. 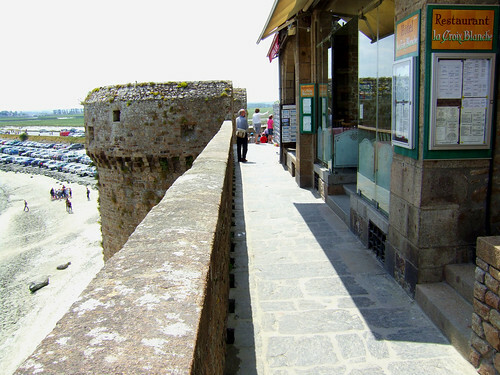 The island is connected to the mainland by a causeway build in 1879. 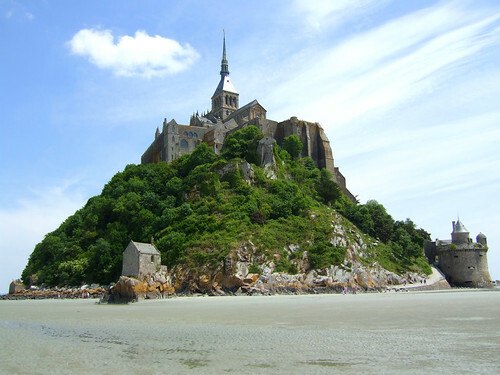 According to the legend, Archangel Saint-Michael instructed the bishop of Avranches to build an abbey at the top of the rocky island. 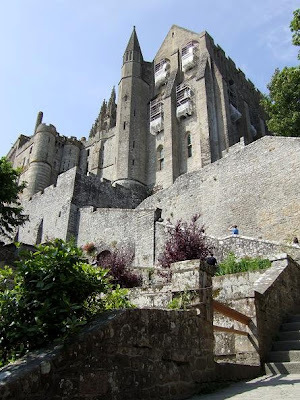 At the bottom of Mont-St-Michel is a small village, this was build in the Middle Ages at the same time as the abbey was developping. 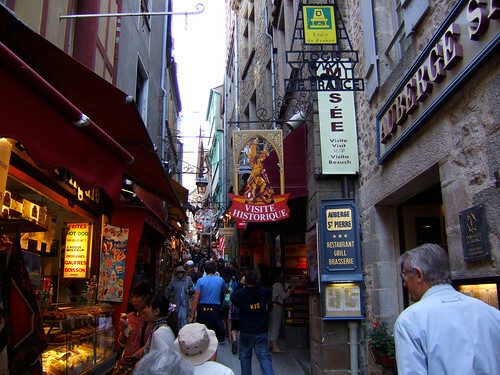 The walk to the top is on a steep and narrow cobblestone street through this village. 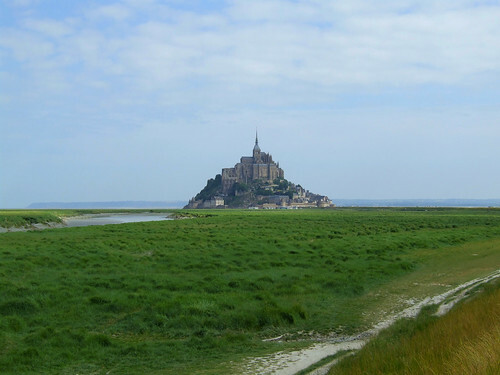 Mont Saint-Michel was declared a World Heritage Site by UNESCO in 1979. 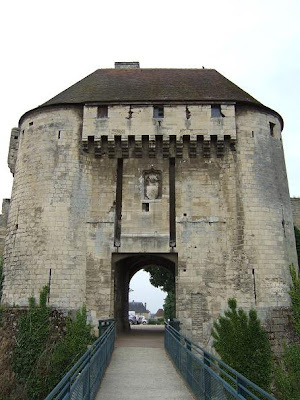 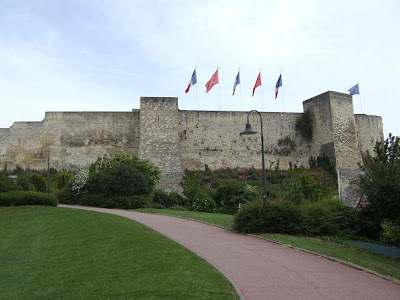 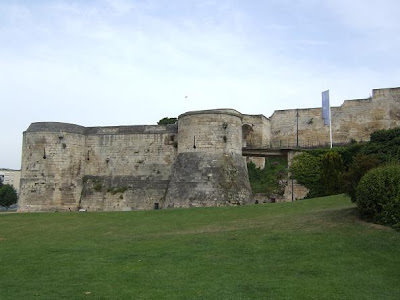 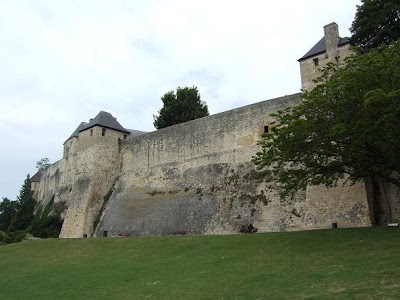 Caen is the capital of the Lower Normandy region of France. 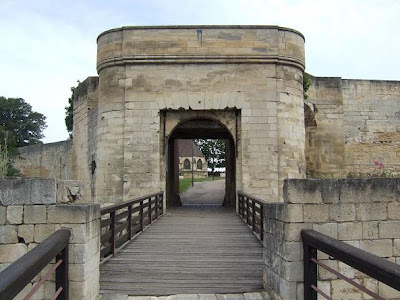 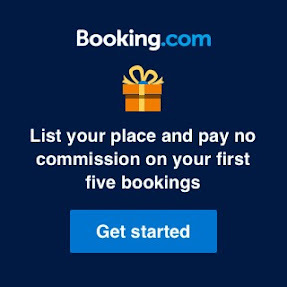 It was William the Conqurer’s favourite city and where he married his cousin Matilda of Flanders. 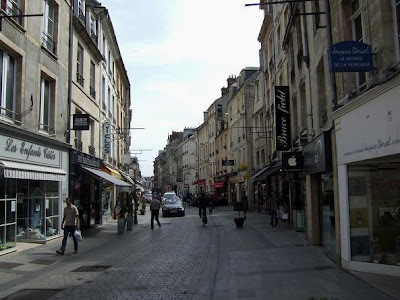 The city is located 238km northwest of Paris. 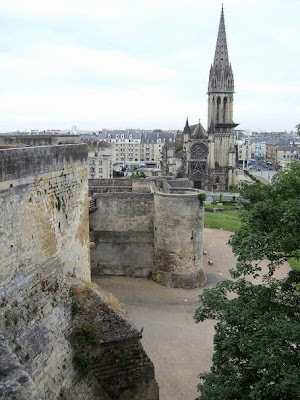 View on the Saint-Pierre Church from Château Ducal. 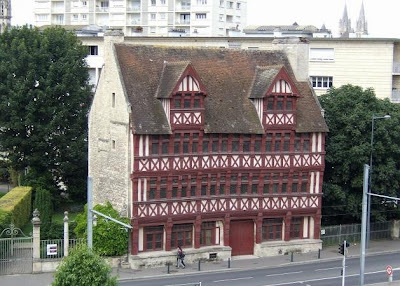 Maison des Quatrans opposite Château Ducal. 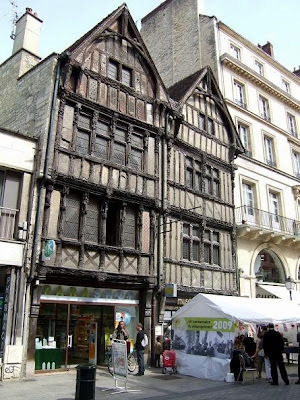 Postal Museum in the Rue Saint-Pierre. 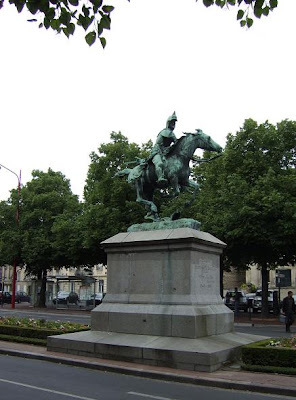 Statue of Bertrand du Guesclin at Place Saint-Martin. 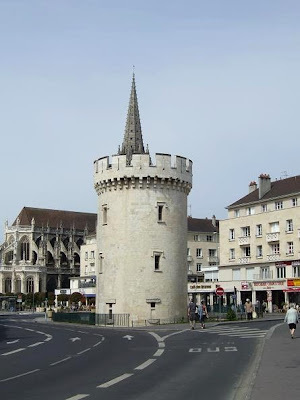 The Leroy Tower, close to the Saint-Pierre Church. 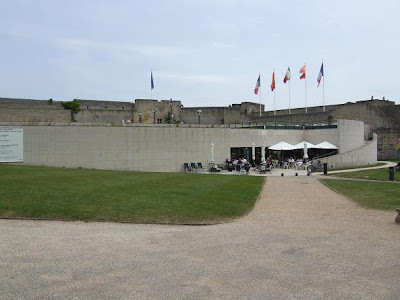 The Museum of Fine Arts in Caen is located in Château Ducal. 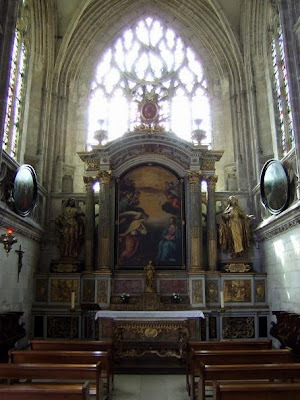 The museum has a collection of paintings from the 16th, 17th, 18th and 19th century. 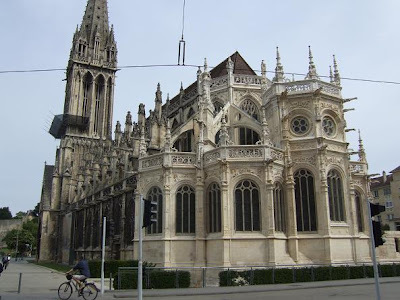 The Saint-Pierre Church in Caen is situated in the centre of the city opposite Château Ducal. 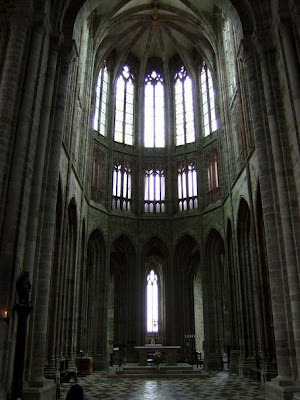 It was build in the beginning of the 13th century in Gothic style. 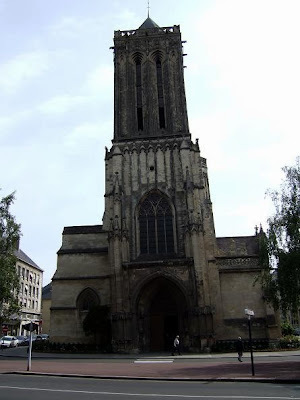 The church was restored after the war when it got damaged, including the beautiful spire on the 75m high tower. 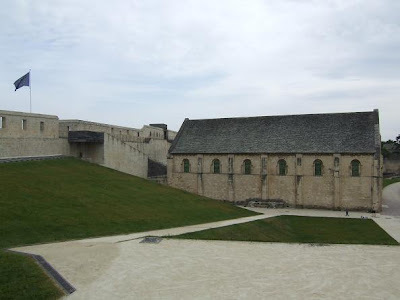 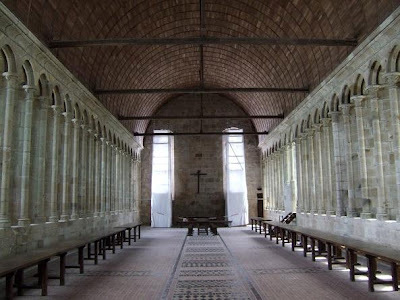 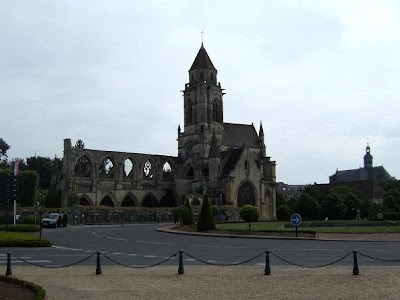 The Abbaye aux Hommes is situated in the French city of Caen. 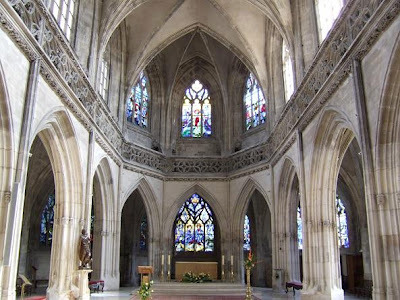 It is a former abbey church that was dedicated to Saint Etienne. 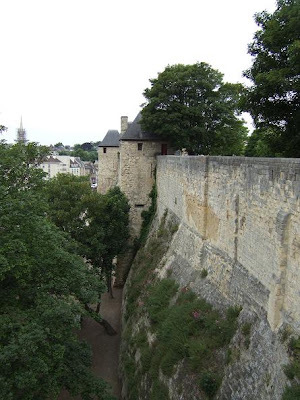 It was founded by William the Conquerer in 1066 as penance for marrying Matilda of Flanders against the Pope's ruling. 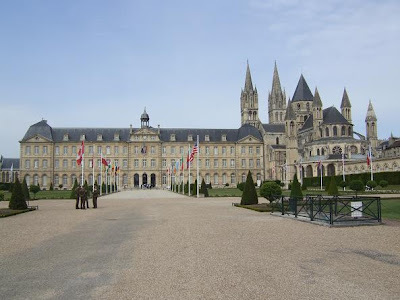 On the left of the abbey you can see the town hall of Caen that is build against it. 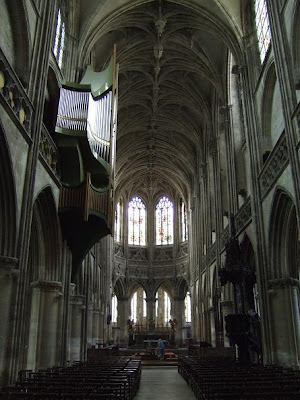 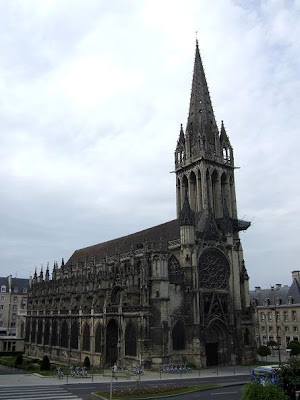 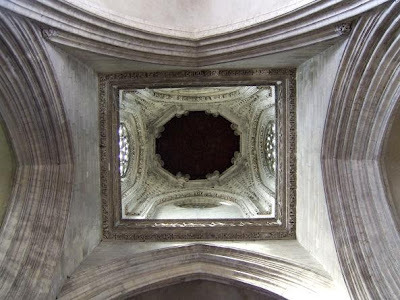 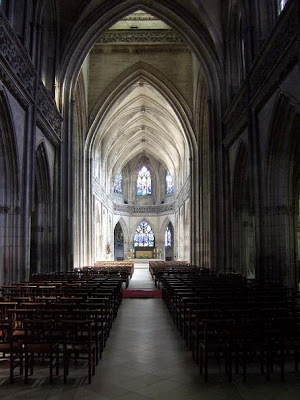 The Saint-Jean Church in Caen was build between the 14th and 16th century in Gothic style. 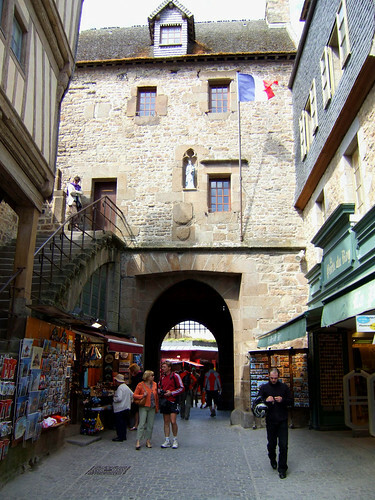 It was the only remaining building in the quarter of St Jean after a bombing in World War II. 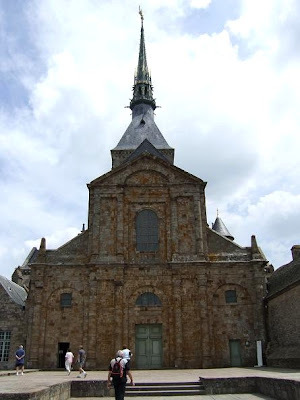 As you can see the main tower leans to the left, this is because the church was built on marshy ground.